Tell us what courses you have and we'll tell you what books you need. Textbook editions change all the time; we work closely with your faculty members to ensure we have the right books on our shelves for all of your courses. All of your textbook information is available online! After you register for classes, you can login to your SeaNet account, view the textbooks you will need for the semester (based on your registration) and order your textbooks online from the UNCW Bookstore. You can choose to purchase new or used books, rent textbooks or and e-books (when available) to save money! Rentals offer the greatest savings for students. 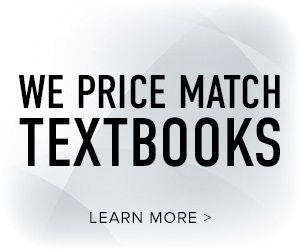 Rent new or used textbooks. You are allowed to highlight and write in rental textbooks. Keep your textbooks all semester and return them by the last day of finals. Do you need to return those rental books? Create your Rental Return online! Find us and keep in touch! 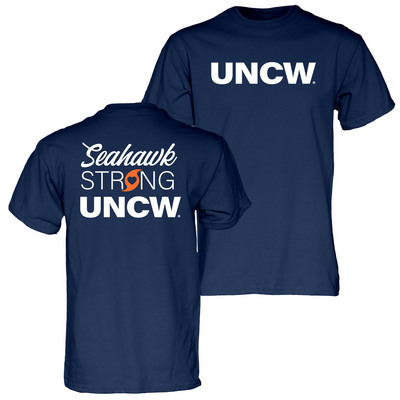 A portion ($15.98) of each tee sold will benefit both the UNCW Campus Emergency Fund (student relief) and the Hurricane Florence Employee Assistance Fund. Screen printed logo. 100% Cotton. Imported. Learn more at uncw.edu/hurricanerelief. $7 Lunch Special in the Bookstore Cafe: Cafe sandwich or pizza, 10oz kettle chips and ANY size coffee or tea (excludes cold brew). Faculty/Staff $1.00 Coffee Monday Promotion! Show your UNCW ID and receive $1.00 Iced/Hot Coffee or Hot Tea. Any size, any refill, any type - We appreciate you!